As the number of connected devices increase, it becomes challenging to provide a simple approach to control various devices; we need more than a list of devices or traditional GUI interface. 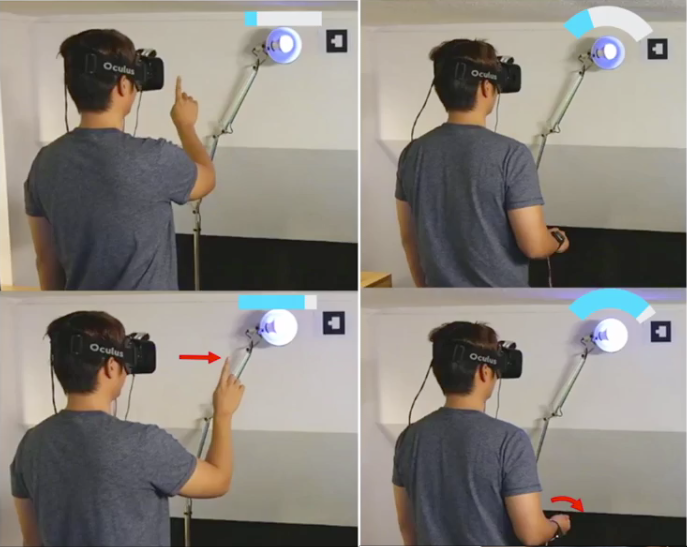 Out approach to this problem utilizes Augmented Reality (AR) to enable users to directly control each device in-situ. 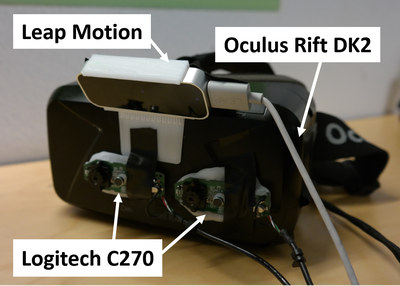 We investigated various mid-air gestures that can be used in AR environment and designed and developed new interfaces that use wrist-rotation and mid-air touch gestures. We further verified the feasibility of our design and prototypes by conducting a series of user studies. Kyle Koh, Han Joo Chae, Yuri Choi, Yieun Kim, and Jinwook Seo. 2016. A Study on User Interface for Device Configuration with Wrist Rotation Using AR and Wearables in IoT Environment. In Proceedings of the Korea Computer Congress 2018 (KCC 2016). 1411-1413.